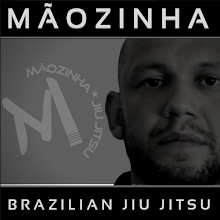 In The Art of War Sun Tzu wrote that "supreme excellence consists of breaking the enemy's resistance without fighting." How is that possible? How can an enemy be broken without stepping on the field of battle? Simple. Make his every step a battle. Yep, that's it. Instill doubt in the enemy. Doubt is a parasite that feeds on one's expertise, training, and fortitude. The more it is indulged, the more starved the host. The more starved the host, the more he will seek assurance. And, when you go looking for confidence, you are guaranteed to find insecurity instead. Get where I'm going with this? Doubt is deadly. So, what does that have to do with fight writing? A whole heap. Psychological warfare is as much a form of fighting as boxing or blade work. And, it is like, THU BEST, kind of fighting for writers. Psychological warfare lays open the mind of a character. Just splits it like a ripe melon and gives access to all their seeds of thought. If you have a villain in your story, and, ya do, ya gotta consider the mental tactics that n'er-do-well is using to best everyone. They can't be a flat, paper thin, reprobate.You must give the bad guy every bit the attention you are giving the good guy. Know why? Because the only difference in a hero and a villain is who is telling the story. In order to instill doubt into anyone, a villainous character has to distort reality. He has to make the good guy believe something that just isn't so. And, one of the most devious ways he can accomplish this is gaslighting. The term gaslighting harkens back to a play from the late 1930’s called Gas Light. In the play a husband drives his wife to insanity by making her question reality. 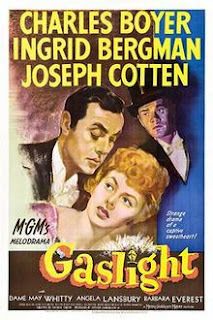 There was also a subsequent film adaptation known as Gaslight. In the movie a husband seeks to have his wife institutionalized so that he might have access to her family’s wealth. To make her believe she is crazy, he convinces her that the house they are living in is haunted. One way he does that is by dimming a gas light a little more each day, ergo the term gaslight. But, wait, that’s not all. After convincing her the house is haunted he then stops making it seem so to convince her that it was all in her head! HOW MESSED UP IS THAT!!! Gaslighting is a form of mental manipulation. It is an attempt to gain power over another person by causing them to question reality. When a person isn’t sure what is real, they have no concept of the amount of control another person has over them. Gaslighting is a classic tactic used by abusers, cult leaders, narcissists and dictators and my cat if I may be so honest. As a human who has experienced it, I can tell you that it is nothing less than evil. As I writer I can tell you that gaslighting is awesome sauce! Seriously, you pour some of that on your villain and you have yourself a bad guy and a story your reader won't soon forget. Ok, so how do we add gaslighting to our miscreant's bag of tricks? Well, first we make him the sort of person that gaslights. And, there are personality traits peculiar to folks who use this sort of mental manipulation. Put these down on your villain's character sketch check list. A gaslighter is generally an authoritarian with others but not necessarily himself. He, in fact, may follow no rules and become defensive when given boundaries. With others, however, there is little room for error. For those who cross him there will be some sort of punishment. This will make others hesitant to cross him which further reinforces his behavior. For him, this complete lack of repercussions brings euphoria as does the dependence of others afraid to contradict him. He is either hot or cold which further ensnares the target of his manipulation. His coldness is so chilling that any amount of warmth is welcomed. In his mind, he is completely correct. There is nothing wrong with him. He is unlikely to go to therapy but if he does, anything the professional says will be discredited. And y'all, here's the real kicker. Despite his deplorable means, the gaslighter is well liked. He is charismatic. He is attractive. People want to be in his favor and liked by him. He is, in the truest sense of the word “charming” in that he bewitches all those around him. Your readers should love him and hate the fact that they do. Ok, in the next round of FightWrite, we will look at how gaslighting will affect your targeted character. Until then, I leave you with one of the best film examples of gaslighting, and one of my favorite movies of all time, The Usual Suspects. If you haven't seen this brilliant work, don't watch this clip. If you have, this is the end scene where the cop realizes how diabolically genius Verbal Kent is. Those will delicate ears, there's an "effy" in the clip. Do Women Kill Less Often than Men? In our last round of FightWrite.net, we looked at How Women Kill. This week, we are going to consider how often they actually do. According to the most recent FBI statistics, in the United States men account for about 70% of violent crime arrests (1). Arrests, not acts. Why is that? Well, I touched on that a bit in the last post. Women are physically weaker than men which means overpowering often requires a tool such as a knife, poison or window. (Defenestration anyone?) It is also less socially acceptable for women to act out violently. The fact would make some women feel as if the act of murder isn't an option. Finally, women tend to only act out violently toward people with whom they are intimately connected. And, in my opinion, all of those reasons are part of why women may actually be getting away with murder. 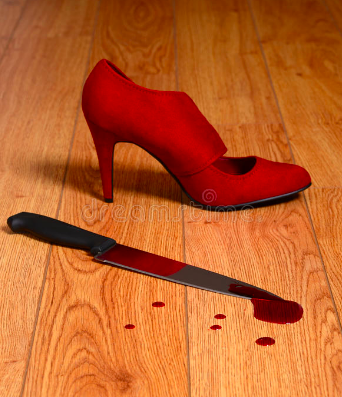 How women kill - According to Gregg McCrary, FBI profiler: Women tend as a rule to do softer killings, poisoning, suffocation, those sorts of things. Rarely are they the slasher types of inflicting a lot of bodily damage." (2) All of the adds up to less evidence. It also shows that, unlike those of men, murders by women are not happening under impassioned circumstances as often. The less passion involved the more thought can be given to the act. The more thought given means the more well planned the crime. Those together equal less evidence. Who women kill - Women generally kill people they know. Between 1976 and 2015, 46% of those murdered by women were family members or intimate partners (3). Because of that the planning, the opportunity and the aftermath can be much different. When you kill someone you know, you can have greater control over the crime and crime scene. You can create a situation where there is less struggle, fewer witnesses and the evidence can be contained. Why women kill - Women kill more often for "gain" or what they personally perceive as "love (4)." In the case of "gain," the murder was related to a women being removed from a will, insurance payouts or other financial assets (4). In the homicides where "love" was the impetus, that love was not connected to lust. It's a common notion that women kill male partners because they are abused. And, while that is sometimes the cause, it's not as often the case as we think. More often than not is was connected to what the killer saw as mercy or the need to remove someone from what they saw as a damaging situation (4). This was often connected to mental illness. That is not to say women don't do heinous crimes. It's just not their M.O. So, what does all that mean to me? Again, this is just me. I think women are literally getting away with murder more often than men - I don't mean in the criminal justice system. I mean that women aren't getting caught for it because they are leaving less evidence around. Yes, I still think men are more murdery than women. But, that is in part because women tend to internalize things. When we are angry or in emotional pain, we hurt our own self more than others. What does all this mean for writers? Well, I think you can comfortably make the murderer in your story a woman. And, because of who she will likely attack and how she will do it, it's plausible that she will get away with it. I think more than focus on how she does the killing, a writer better look at how that female character covers it up. And, because of how women kill, there will be less to clean and therefore less to cover. (I really want to insert a joke on women being good at cleaning but I think that might be tacky.) Is is plausible that the female murderer in your story is the slashy type? Yes. But, that's not the norm. If you find that you are being attacked by a woman and you want to safely contain her, here's how... Can't miss with Master Ken.